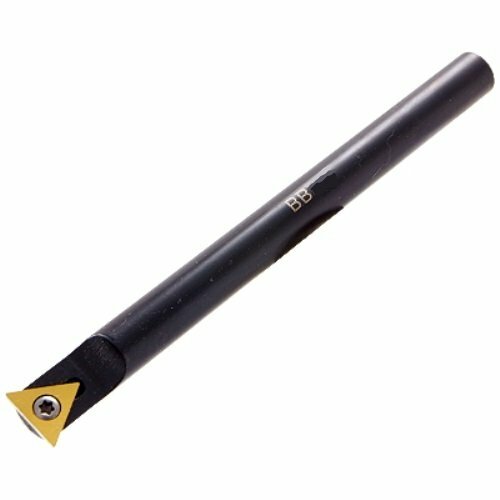 BBS10 Indexable Boring Bar ~ Positive rake. ~ 11 degree relief. ~ Shank size is 5/8". ~ Minimum bore is .710". ~ Overall length is 7". ~ Lead in angle is -1 degree. ~ Takes one TPGW or TPGH 321 insert. ~ Replacement screw is an M4 X 10 #2100-0074. ~ Replacement torx wrench is a T-15 #2100-0095. Boring Bar Style S10; Shank 5/8"; Minimum Bore .710"; Length 7"